The lack of ad blocking options on iOS pushed me towards setting up a Privoxy proxy on the network. The initial idea of having it on my work machine didn’t really workout as it meant having the beast turned on, and that tends to result in me getting sucked into work mode at “inappropriate” times. As running a filtering proxy is hardly a server scale task, i’ve got a Raspberry Pi, powered off the USB port of the router, doing the job. [I’m not sure how powering it off the USB is going to work out – there are conflicting tales on the suitability of various power sources… at worst it can go back to using the wall wart, but it’d be nice to have it not really need that. It’s a cute little thing. Makes me think of a baby version of Orac… wonder if that was intentional – it’s culturally about right for the kind of people that would start a project like Raspberry Pi! Getting it set up is nice and easy. 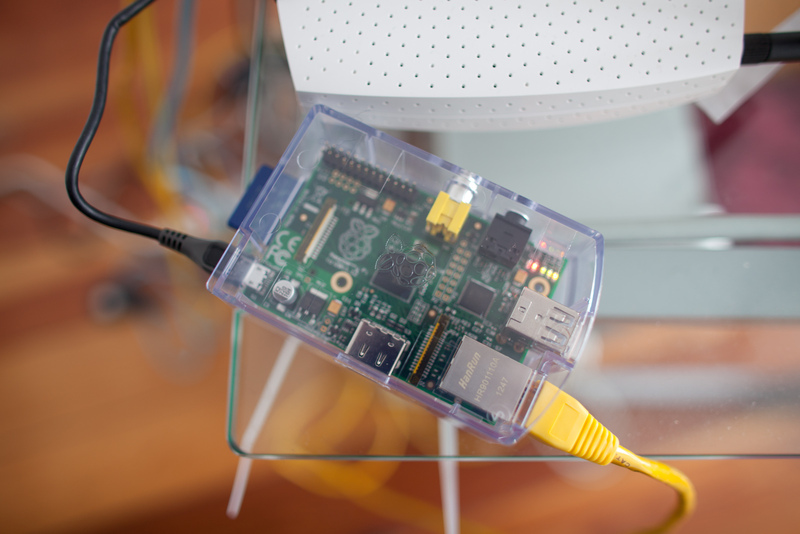 The O/S is Raspbian (a port of Debian Wheezy, with fp support for the ARM chip), so it’s just a matter of getting a static ip address configured in /etc/network/interfaces, pkgadd’ing privoxy, fiddling with a few config files to get it listening for remote connections, and away you go. The default privoxy configuration is tied down pretty tight, and needs a little tweaking to deal with some japanese sites, but overall the experience is a great improvement. This entry was posted in Techno Babble and tagged Debian, iOS, Privoxy, Raspberry Pi, Raspbian, Wheezy by itllallendintears. Bookmark the permalink. I understood the reference to Orac. Nothing else. It’s probably better that way. it’s a little box for stripping ads out of web pages, that’s all.